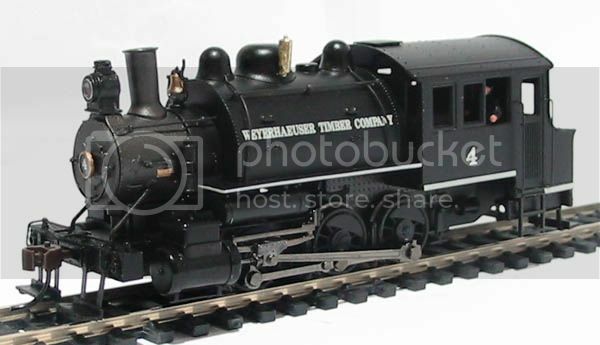 For years and years I have admired many modelers work in the classic On30 style, which is to say bashing HO mechanisms into O scale narrow gauge locos and rolling stock. 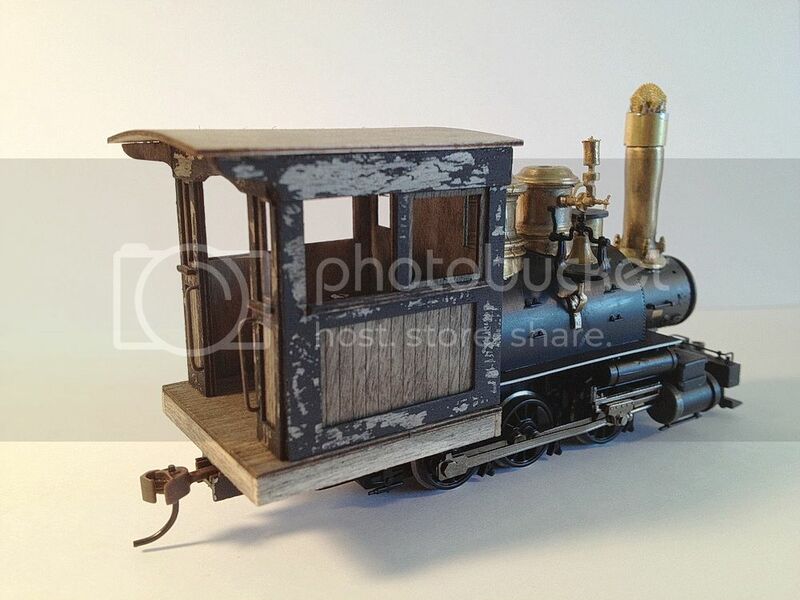 The inspiration for this loco is from Allen Littlefield. Allen has two bashes in the 2013 On30 annual which I plan on doing for myself. 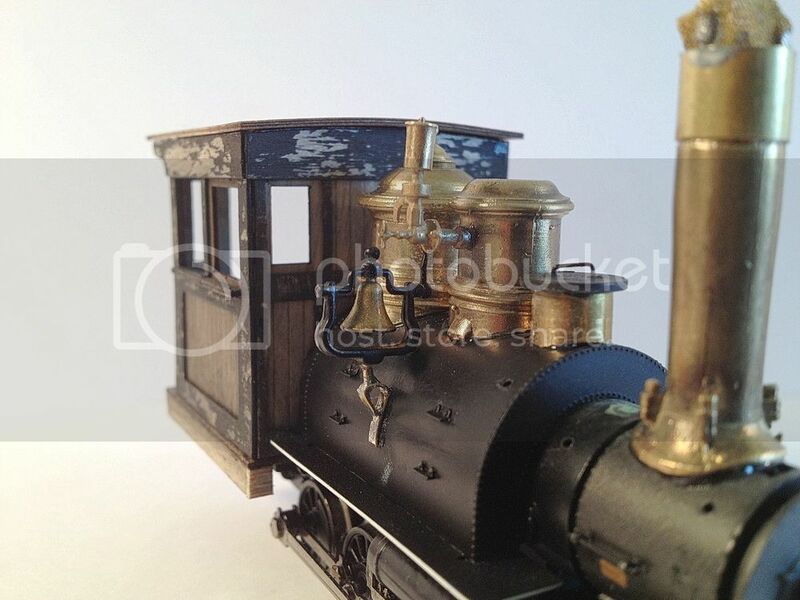 The first is one which was started by one modeler and purchased my a collector which he agreed to finish. 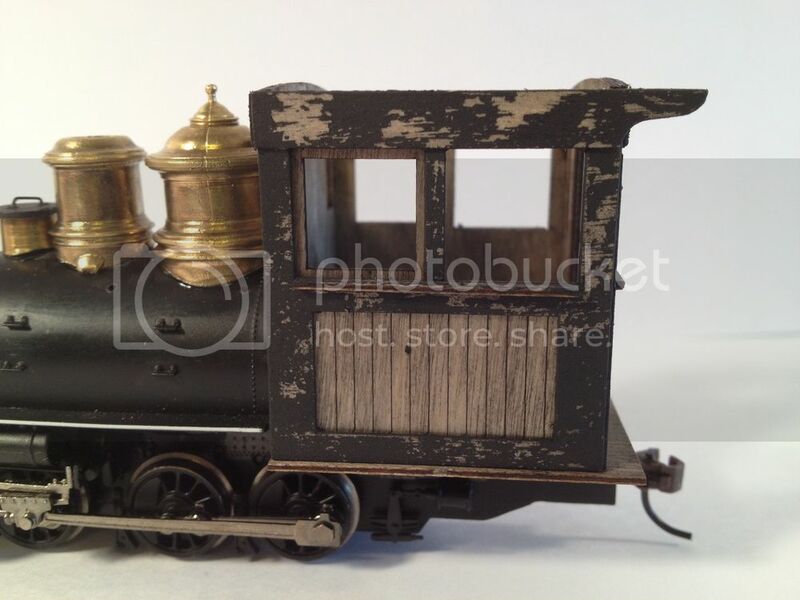 This one is built on this Bachmann HO scale 0-6-0 Switcher. 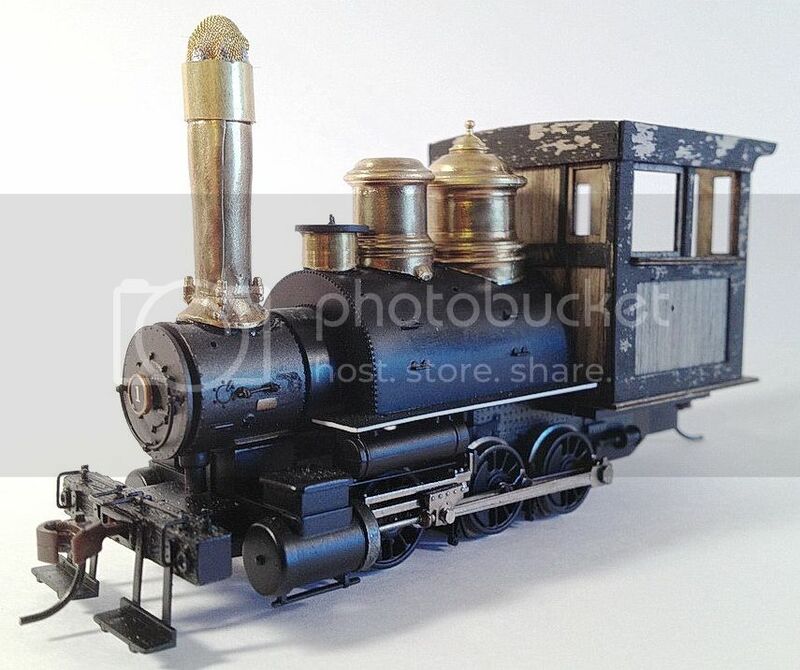 This one uses the original boiler. 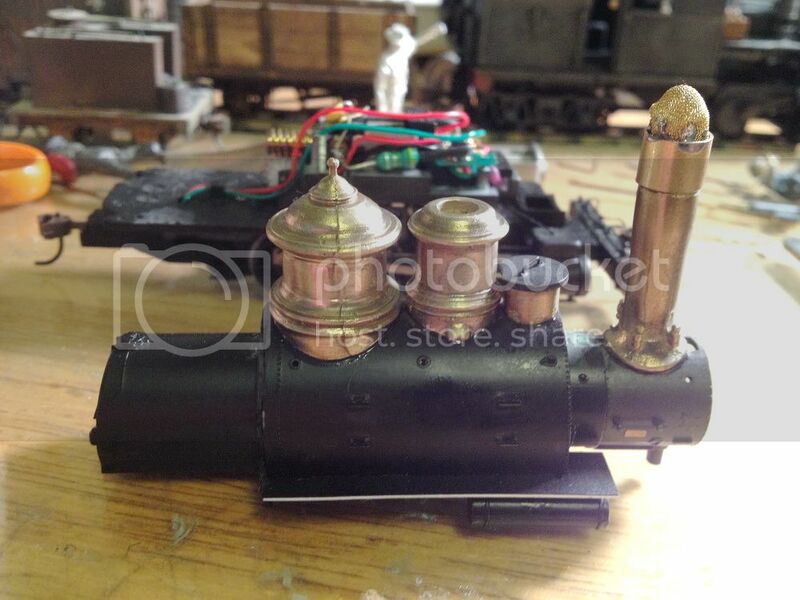 Domes and such have been removed and new O scale parts added. Here it is sitting on the chassis. I am using a Banta cab that I have not built yet, but just to see how its coming along I pop this On30 porter cab on to get the overall feel of it. Here you can see where I need to build a wider floor to attach the cab sides to. That's as far as I am at the moment and work calls....some things never change lol. 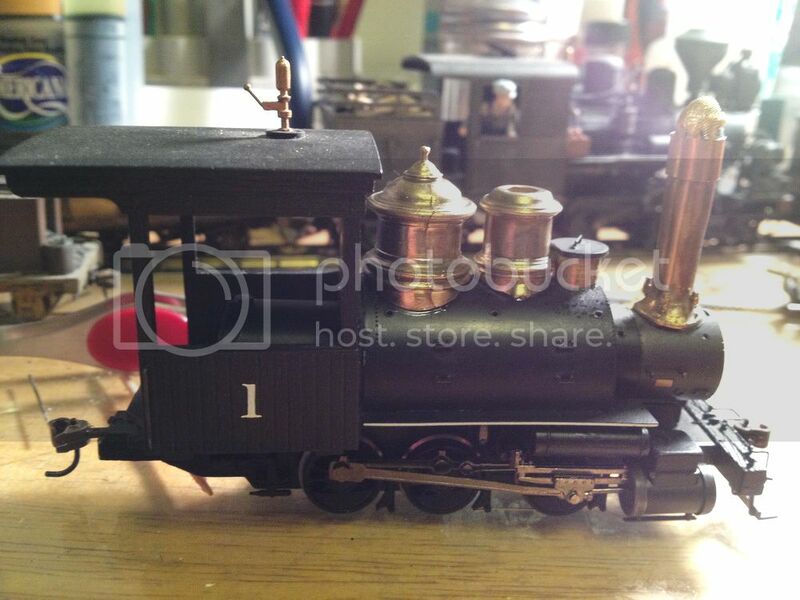 Dave, I really like this loco and am interested in seeing the progress. That thing has the perfect look for On30. Dave, Ya still have the touch! That is going to be one sweet loco. Neat concept. Can't wait to see how it turns out. Having Littlefield as an influence is not a bad place to start. 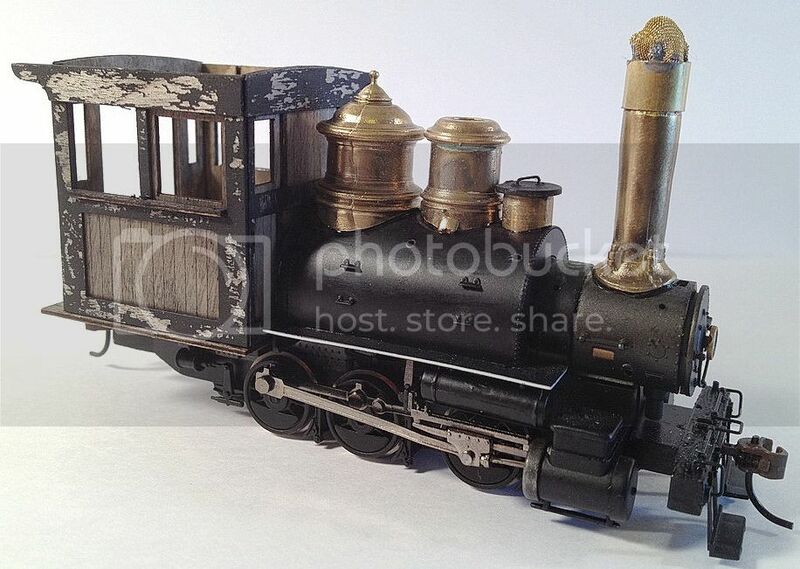 He is a very creative Rail Baron and I have enjoyed his work. Your project is looking pretty good. Found some time this weekend, before and after outside projects, to start building the Banta Modelworks Cab. The Banta Porters cab slid right in with 2 very minor cuts to widen the slot around the backhead. This should save a lot of work building a wider base, as I think I can just add some stripwood around the lower edges for strength. Now I need to add those, the grab irons, roof braces, and figure what material and texturing I want to use on the top. Many here share my admiration of Littlefeilds work, especially his railtruck bashes. Woke up early morning, so I added those grabs, the bracing around the floor, the roof bracing and sub-roof, a bell and whistle. 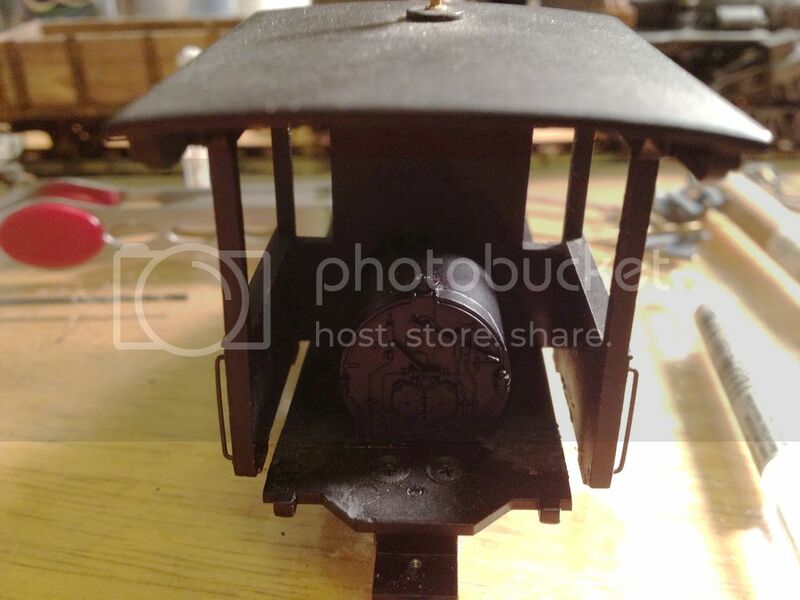 I am fond of the way the backwoods shops added things out of the "normal" positions, so I made a brace for the bell and added it to the side of the saddle tank as well as the whistle out the side of the steam dome. 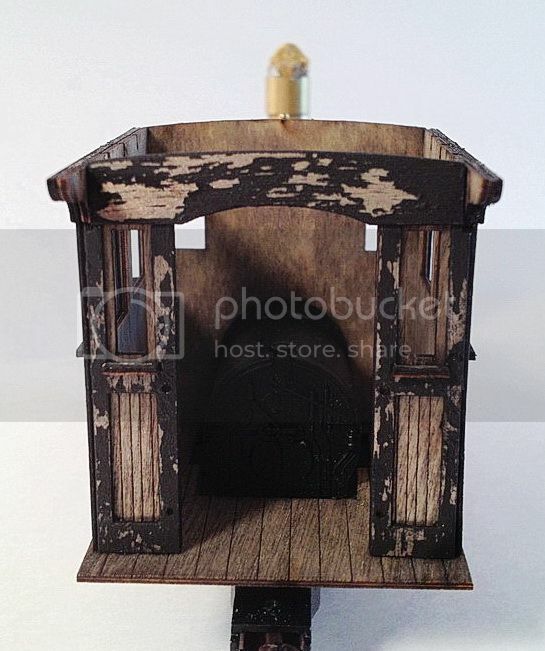 Besides, the casting includes a nice cap, like the one on the sand dome, and I want to use it. 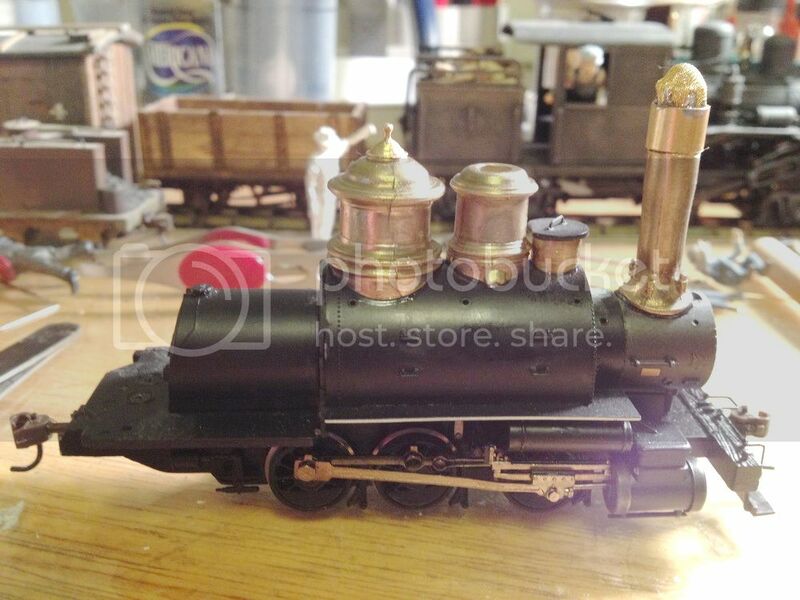 Dave-she's coming along very nicely, I love the weathered cab and the offset bell & whistle. Looks like you are having fun...again.